agre Solutions | Tronia Systems Ltd. Your company relies heavily on its financial management and accounting solutions to manage and grow your business, but as your business grows, off-the-shelf software solutions can limit your ability to effectively manage your business and its day-to-day operations. agrē has all the accounting tools your business needs to manage the unique challenges that ag-retailers face. software suite in Canada as chosen by independent ag-retailers. flexible business management solution, but no ag-retail specific functionality. 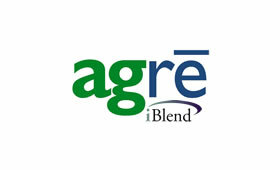 When you need only agrē's easy-to-use fertilizer blending calculator and a complete customer blend history. Crop plans, soil & tissue tests, field scouts, and custom app - everything an agronomist needs to maximize yields. Customers, truckers, & staff can sign with a signature pad, a mouse, or even a finger, and everything is stored in agrē. Allow your customers to login to agrē to view their financial data online, any time, from almost any device.